ISO 22000 specifies requirements for a food safety management system where an organisation in the food chain needs to demonstrate its ability to control hazards to ensure that food is safe when consumed. HACCP is a prevention based food safety management system. It is methodological and systematic application of the appropriate science and technology to plan, control and document the safe production of food. HACCP is a wide recognized and used product safety management principle in food manufacturing processing, treatment and service organization. Intertek’s food physical analysis process involves an evaluation of the rheological attributes, which have been identified as critical to hazard levels. A preventive system recognised and respected by the scientific community as well as international food quality organisations as the most effective approach to the manufacture of safe food. Being recognized amongst client-centric approach, we are engaged in providing Hazard Analysis Service. Hazards analysis in process industry not due to process or operations but due to transportation, freight, maintenance works etc. is carried out in Non-Process Hazard Analysis. To match up the varying demands of the clients, we are engaged in providing Hazardous Waste Analysis. Our provided Hazardous Waste Analysis is rigorously tested by quality controllers to ensure its quality and reliability. Our prestigious clients can avail these service from us at market leading prices. Job safety analysis is one of the risk assessment tools which is used for identifying work place hazard and controlled them. 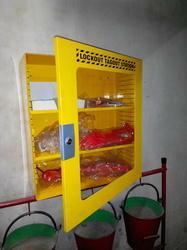 The purpose of Job safety Analysis is to prevent Job related injuries and fatalities occur every day in the workplace. It is also called Job Hazard Analysis (JHA). The objective of performing a criticall ranking on your asset base is to determine which assets are most important to the overall operation. Hazard Analysis and Critical Central Point (HACCP) is a process control system designed to identify and prevent biological, chemical and physical hazards in food production. HACCP includes steps designed to prevent problems before they occur and to correct deviations through a systematic way as soon as they are detected. Hazard Analysis and Critical Control Point (HACCP) is a process control system designed to identify and prevent microbial and other hazards in food production.